MX-500 crushing blade , using manganese material , heat treatment greatly improves the wear resistance of the blade , increasing the life of the machine. 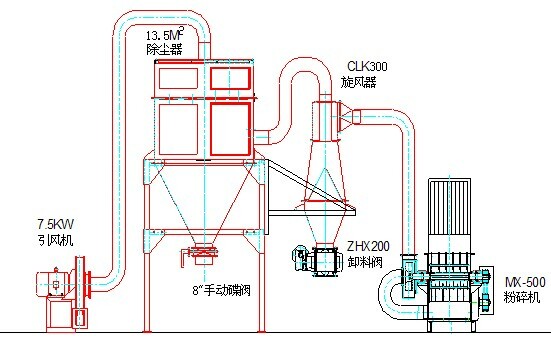 Since a cyclone mill with the material effective in improving the speed and the size of the damper below the mill body to change the feed rate , similar models produced with significantly improved efficiency . After the crushing cavity material added in the role of high-speed rotating blades crush the material is crushed , and in the lead since the cyclone with winds crushed and sieved action will accelerate the introduction of the finished material capture devices. The machine novel structure, simple operation, stable operation and high yield. Widely used in coarse crushing and drying brittle materials . 4 : Open the crushed hosts.